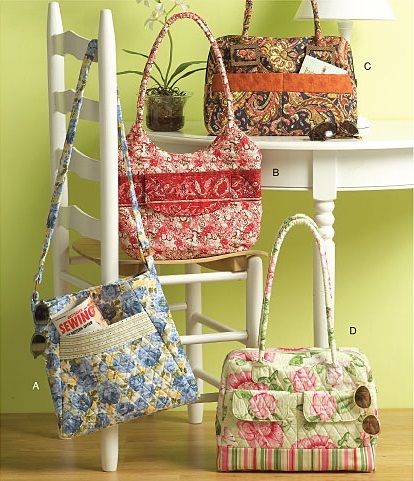 A nice pattern package including patterns for 4 bags. Bag A: 12"x12"; Bag B: 14"x11"; Bag C: 14"x9"; Bag D: 14"x11". All bags are lined and have inside pocket.